This strikingly handsome 100% pure new wool shawl is 137x137cms (54"x54") approx. Wear it for parties, coffee mornings, concerts or anywhere you want to look and feel even more special. 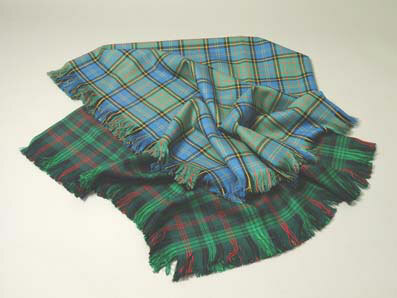 Fringed on the sides, as illustrated, but in the Wood clan/family tartan.